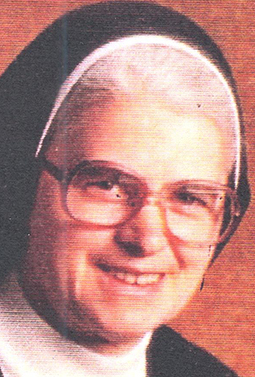 Then a teacher in Milwaukee, Sister Carol Marie Wildt, SSND, was moved while reading the English translation of Notre Dame Sister Mary Imma Mack’s memoir, “Why I Love Azaleas,” soon after it was published in 1991. So, when the opportunity recently arose to revisit and explore in depth Sister Mary Imma’s experience in World War II, Sister Carol Marie was all-in. Her research resulted in a presentation at “Courage In Conflict: The Righteous Among Us” on Nov. 14 at Fontbonne University. Sponsored in part by the archdiocesan office of Ecumenical & Interreligious Affairs, the ecumenical event focused on the seldom-told stories of Catholic nuns during the Holocaust and resistance to the Nazis in World War II. The Office of Consecrated Life and the archdiocesan Archives also participated. “When this opportunity came up, I really delved into it in much further detail, not only what she was doing there but the other people she came into contact with,” Sister Carol Marie said. 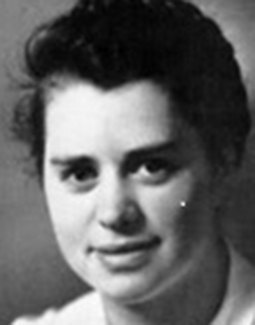 Then known by her birth name, Josefa Mack, Sister Mary Imma was just 20 years old and a candidate for the School Sisters of Notre Dame when she spent about a year surreptitiously ministering to prisoners, including Catholic priests, at the Nazi concentration camp in Dachau. From May 1944 until American soldiers liberated the camp in April 1945, Josefa made a weekly trip from the Notre Dame convent in Freising to Dachau, where she visited the concentration camp’s plantation. At the plantation store, though, she had a collaborator in Father Schonwalder, a young priest imprisoned at Dachau. With his help, she met many needs of the prisoners, who looked forward to her visits. In appreciation, prisoners gave her azaleas plants for her family — hence the title of the memoir. She provided hosts and wine for priests to consecrate in secret celebrations of Mass for fellow prisoners. She brought food for the prisoners, first a little then a lot, which necessitated a safe house near Dachau to store the surplus. She brought medicine for typhoid fever with Notre Dame sisters fanning out to numerous drugstores in Freising for supplies. She smuggled letters, facilitated meetings between Jesuits and Redemptorists, and bribed SS guards with cigarettes. She also facilitated the ordination to the priesthood of a terminally ill German deacon by the only bishop imprisoned at Dachau. She got the official letter of permission from the cardinal in Munich, then smuggled in the sacred oils and stole for ordination, all of which showed divine providence in her work. Bishop Gabriel Piguet was the only French bishop imprisoned at the concentration camp. He had saved many Jews by hiding them in Catholic institutions and also denounced the Gestapo, which arrested him and sent him to Dachau in September 1944. There, soon-to-be Father Karl Leisner, who had been imprisoned at Dachau for four years, had tuberculous and wanted to be ordained before he died. With Josefa’s help, he was ordained and celebrated just one Mass before he died. “It gives you chills just hearing about it,” Sister Carol Marie said. In another sign of providence, there’s the unlikely way in which Josefa started going to Dachau in the first place — a chance meeting with a well digger from Freising who happened to work with prisoners from camp and one day brought vegetables and flower plants to the convent. She was introduced to Mr. Dur, the well digger, by the local superior at the convent. Mr. Dur put Josefa in contact with Father Schonwalder and the trips commenced, with Josefa taking the name “Madi” to protect her family and the sisters. She quickly learned the realities of the camp, had trouble sleeping in the short term and took decades to process the year-long experience. After becoming a Notre Dame sister after the war, it took her 40 years to put pen to paper for her memoir in the late ’80s. She died in 2006.